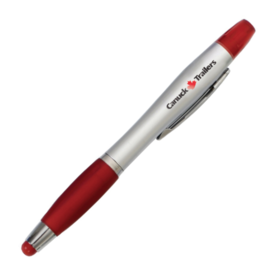 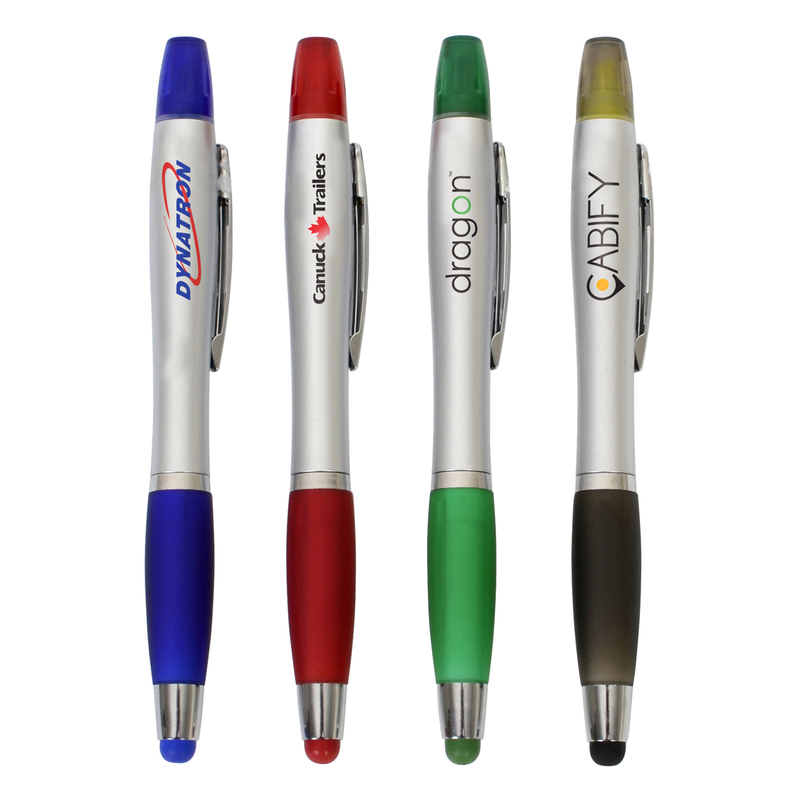 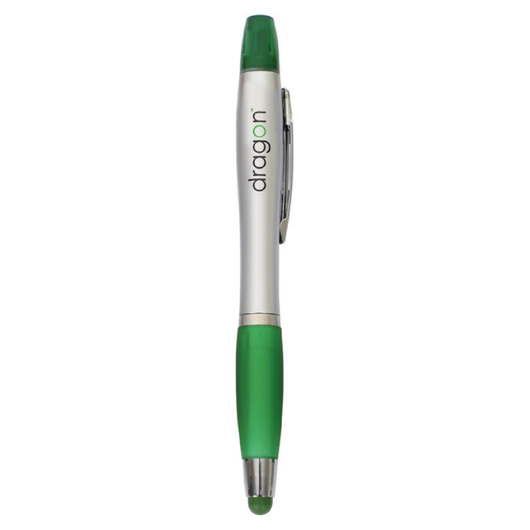 Highlight your logo with these practical highlighter stylus pens. 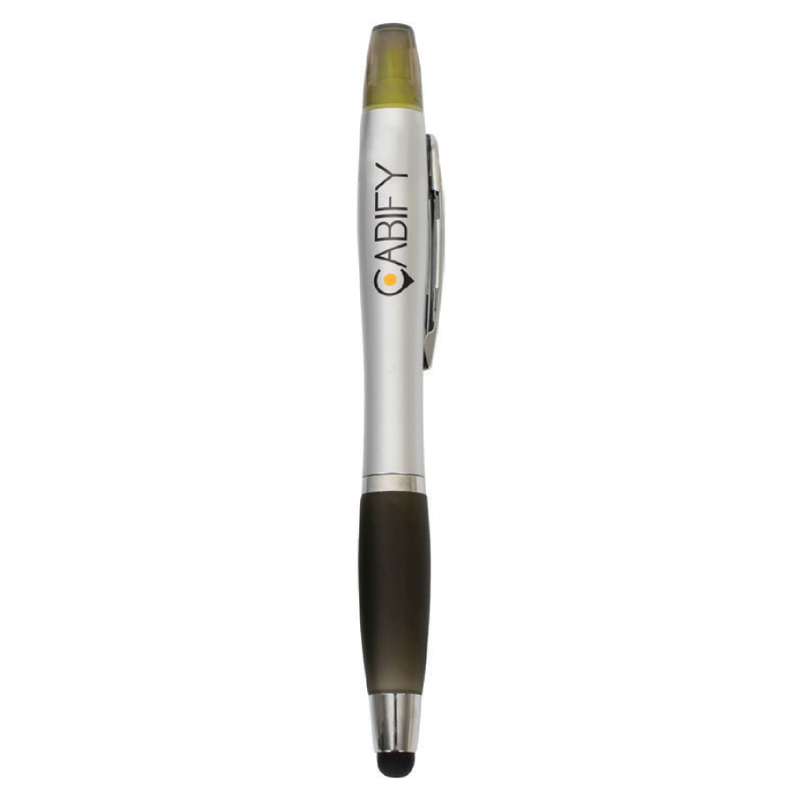 Combining a twist action dual tip ballpoint pen with stylus tip and chisel highlighter into one superb writing instrument. 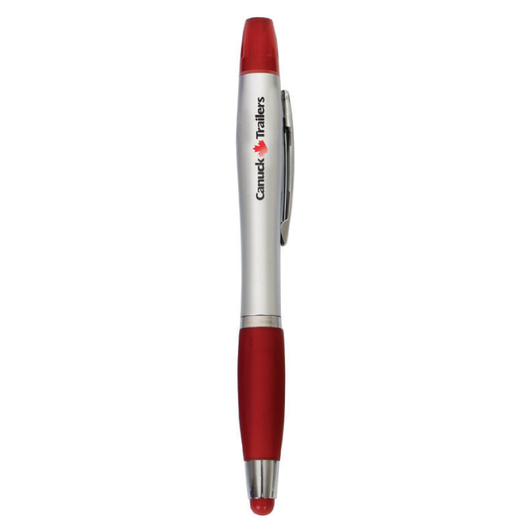 These pens are guaranteed to go the distance and come in your choice of 4 different colours. They have a silver body with coloured matching stylus tip, grip and highlighter cap as well as chrome accents.